I will try my best to response to the rest of the enquiries as soon as possible. For those who wrote in an email, if you did not receive my reply by 2nd week of April, I might have missed out yours, sooooorry. Actually, I had accidentally messed up my inbox while sorting out the mails... So...I might have accidentally deleted your mail...*deeply apologize* If you don't mind, please resend it to me if you did not receive my reply by the stated time. I will definitely reply you this time. Promise yeah~? Back to topic, 2014 January to March Haul — A quick update! During this few months, I did not shop much at all. As I have said, I really don't have time... *cried* In order to save time running to different shops, I got most of my loots from the same shop — Watsons. A classmate of mine recommended the K-Palette 1 Day Tattoo Eyeliner to me when I told her I wanted to get the Dolly Wink Liquid Eyeliner. 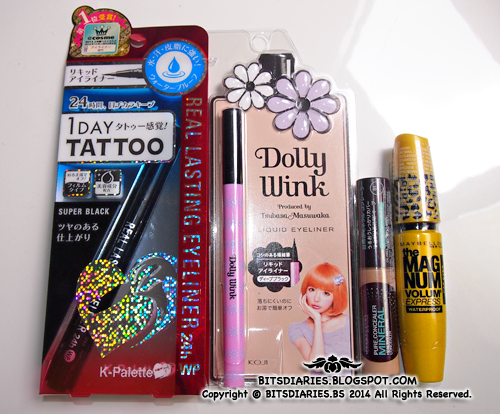 In fact, I have been hunting for the Dolly Wink Liquid Eyeliner for quite some time already but the black one is always out of stock whenever I visit the shops(Watsons, SASA etc.). 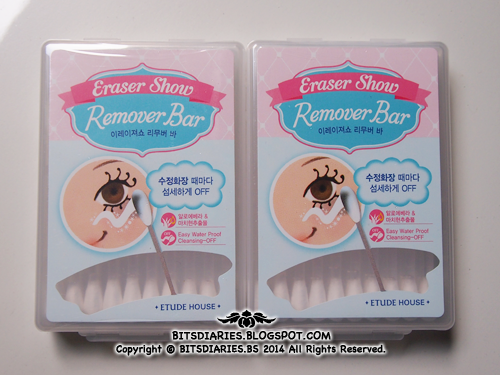 I will write reviews for both eyeliners. Stay tuned yeah~? Due to hectic life, I don't really have enough sleep... My dark circles are getting more obvious lately and I know I badly need a concealer to hide them. Therefore, I got the Maybelline Pure Mineral Concealer in 01 Light Beige. I used this concealer before and am pretty satisfied with the result so I decided to repurchase it. On the other hand, it was on sale (30% off)... so it's A STEAL~! As for the Maybelline mascara, it's another product recommended by my classmate. It was also on sale(30% off) so I just threw it into my shopping basket as well. 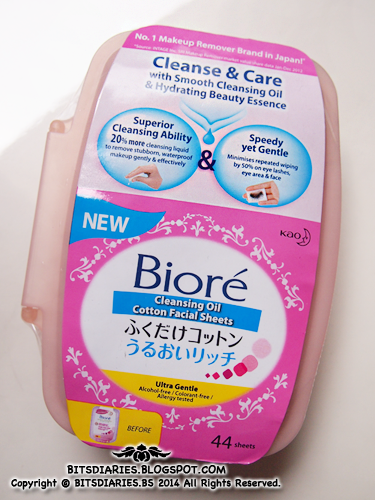 Initially, I just wanted to try out the new Biore Cleansing Oil Cotton Facial Sheets so I bought the handy travel pack which contains only 10 sheets. 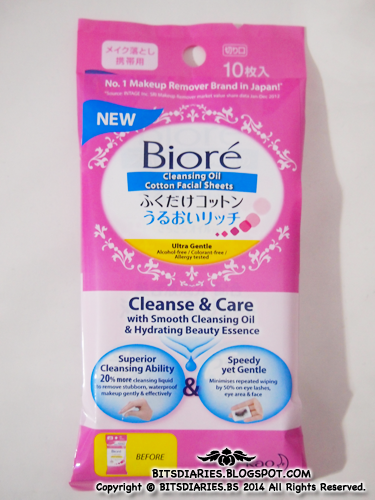 After using a few times, I quite like it and hence, I got it in full-size(44 sheets). 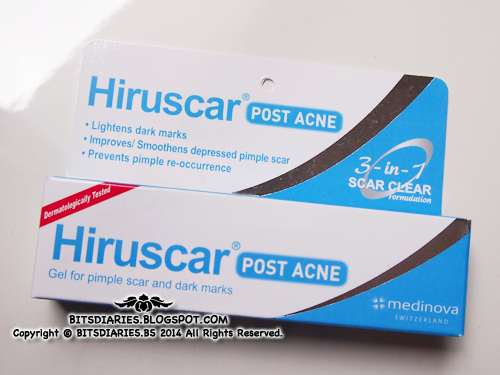 Right now, I will not elaborate further about this product as I will be writing a review soon. 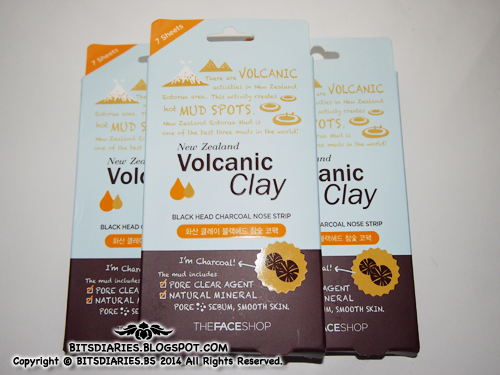 These are another holy grail products of mine. These masks are just sooooo AWESOME! 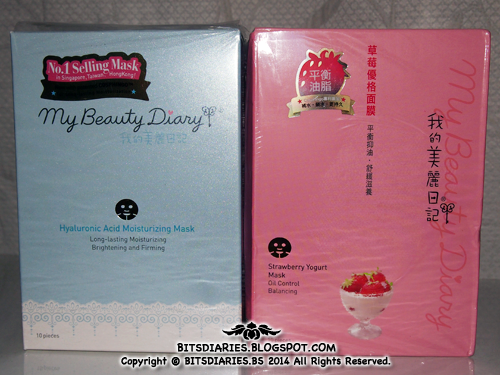 If I have to choose one out of the two or maybe out of all the MBD masks, I would say...the Strawberry Yogurt Mask is definitely my most favorite/holy grail product. Err...both packaging are different because I got them from different countries. I believe most of you know different countries have different packaging... FYI, I got the Hyaluronic Acid from Singapore's Watsons and the Strawberry Yogurt Mask was bought from Taiwan. So I ran out of mine and apparently, the previous version had been discontinued. The ones in the pictures, which I bought, are the latest, improved version. I tried it already and it does works as great as their previous version. Will write a review on this too. I have been using FreshKon Everyday lenses since I was in middle school. In terms of price, the cost of Acuvue is definitely more expensive than Freshkon. But well, I have to say..., it's definitely WORTH the price! 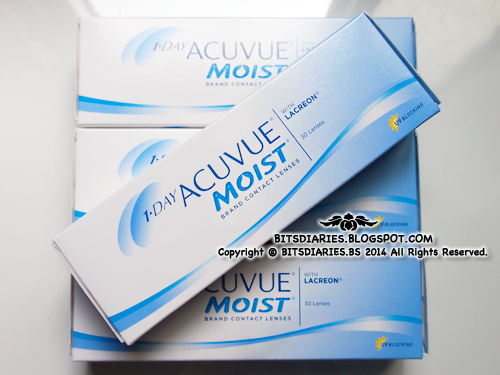 Holy~, these babies(Acuvue Moist) are soooooooooo much more comfortable than FreshKon!♥ I am currently a 100% fan of Acuvue and am considering getting Acuvue Define(Vivid) for my next purchase. *excited* I highly recommend Acuvue to people who are considering getting contact lenses for the first-time.